Personal stories are just tip of the iceberg in understanding what victims of Turkey’s post-coup purge have been getting though. Yet, they are the only means that one could take serious instead of Turkish media outlets which fully embraced the government narrative. Even though the government rules out any unjust treatment on whom it considers supporters of the July 15 coup, anonymous tips pour in independent media outlets hinting at nothing but unjust victimization. The latest of such tips came from a Tekirdağ-based teacher who had her husband arrested over terrorism charges during the Muslim holiday of Adha. What follows is the full letter that was submitted by the teacher, known only by the first name Ayşe, to Turkey Times news portal. “On Sept. 10, the paramilitary and civilian police showed up on our doorstep late at night and took away my husband. We were staying at my father-in-law’s house in Hazinedar village of Kirklareli. We were to celebrate the Muslim holiday of Adha in just few days. After they had taken my husband, two police officers were left to guard us. Then another group of police arrived. They thoroughly searched our house. They seized my work laptop (covered with a pink case), gaming tablet of kids, my mother-in-law’s notebook full of food recipes as evidence. They made us sign a piece of paper about the search and seizure. Our own house is yet to be searched. I am living in fear that they could come back in any moment. Not because I am scared of them. But because I have three sons and they witnessed everything. They were psychologically traumatized. My eldest son is showing signs of anxiety disorder after seeing his father being taken away like that. He is taking some pills now. The stress he is going through also triggered dysfunction in lacrimal gland. His ability to see reduced some 70 percent. My middle child is crying all the time. He is always bored and unhappy. He misses his father. My 2.5 years old son is looking for his father in every room. In every door knock or phone call, he screams “daddy.” He is running towards men in the street who looks like my husband, Orhan. All of these are unbearable. It is overwhelming. I cannot sleep at nights. I sat down with a psychiatrist and started taking two types of medicine. Newspapers had been writing everything about my husband but truth. They alleged that they found a USB drive that can break any password. That Orhan was trying to escape. That he was an American spy. That he was arrested while in hiding in Kirikkale (It is Kirklareli). I had been living with Orhan for over ten years in an apartment he inherited from his family in Istanbul. I worked at Mavigun private high school. And he worked at FEM and Anafen prep schools. Orhan’s friends told him that there was an opening in a school in Bolu and that he could start working there while I was on a maternal leave in 2015. He is a Turkish language instructor. Because we had three sons, we thought a small city could be better in raising our kids. We moved to Bolu. He started working at Fatih private high school. I thought I could take some time off since our baby was only 13 months old. The school had some financial problems. The number of students was decreasing. The school was paying delayed salaries. Orhan decided to quit the school. He found a job at a company called Burotime. He was a salesperson there. He had excellent communication and marketing skills. He knew how to satisfy a customer. In the meantime, I also started working at a school three days in a week. We lived in Bolu for only 10 months. Since we worked at Fem and Fatih schools, it was enough to be blacklisted. My license as a teacher was revoked. Under pressure from the authorities, Orhan was kicked out of the company. The school our kids studied was entirely shut down. We had serious financial problems. We decided to move to Corlu, a town west of Istanbul. It is a district where our parents live. We thought we would have a better shot at finding jobs. We did not escape to Corlu. We were not hiding. The day after we arrived in Corlu, we went to register our residence. We are a family of five and all of us are registered at the same address. We both now were unemployed. Orhan said it was almost impossible to find a job in Turkey and that he could perhaps find a job abroad and then call me to join him. He decided to go to Macedonia, a neighboring country. In the airport, he learned that his passport was revoked. He was not trying to flee, as the media and prosecutors alleged. He would have escaped the country through illegal means if that was the case. In essence, we were fired from our jobs. We were blacklisted. No company was brave enough to hire us. Since my license was revoked, I could not even apply to teach at any institution, private or public. We could not even go abroad. We were doomed to poverty. The only choice left was to sell bagels in the street or cleaning houses. We started looking for jobs in Corlu. We thought we could work at a printing house, stationary or tutor students to make ends meet. My life turned upside down when, on the eve of the holiday, Orhan was rounded up by the police. I don’t know how I am going to pay the rent. Orhan is behind bars. I am banned from working. We are like a pariah in this community. I am even scared of looking for jobs. Everyone is looking at us like terrorists. My sons are good at keeping secrets at the school. They are afraid that the school or their classmates can one day learn about their father — the father who taught them to love this country and who raised them as patriots. But he is now locked up on charges of terrorism. A Turkish language instructor is being tried as a terrorist! For 17 days, I called the police to learn about my husband. Every single day. They kept telling me that the organized crime unit cannot respond because it was the holiday. 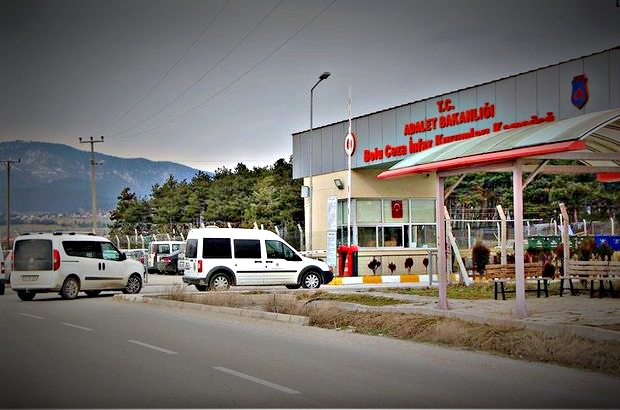 On the third day of the holiday, I made a 4-hour drive to Bolu to give Orhan his clothes. I received a phone call on my way from a police officer who informed me that Orhan’s detention was prolonged for an additional week. While I was waiting outside the police station to hand over his clothes, I asked police officers about my husband. I am sickened to my stomach to even recall what offensive words they used to insult me. I had to be patient. Then a police officer came to pick up the clothes. He thoroughly examined each piece. He gave back some of them and took others. He said he came to our house in the past. It was a slip of the tongue. He then quickly tried to change the topic. I remembered him. He was one of the realtors who came to our house in Bolu when we decided to move to Corlu. He was a civilian police acting as a realtor. I told him my husband was innocent. He yelled at me. “If this coup was successful, there would be someone else talking to you. You would be a mother holding your baby like Syrians looking for a country to seek refuge. This time, my children would be left orphan,” he told me. I had a hard time deciphering his thought process. What did all these mean? Orhan was an ordinary school teacher. Just because he worked at Fatih and Fem schools does not make him a terrorist. 13 days and nights passed without any news from Orhan. I could not visit him. Another police officer called and told me Orhan would stay under detention for an additional week. When I inquired when they were going to interrogate him, he said it could be Monday. He gave me a number that I could call and learn about the legal proceeding. It was a fax number. I called the central line for days. After waiting forever, they keep connecting me to someone who never picked up. On 16th day of Orhan’s detention, I asked an officer this: Is my husband alive? His answer: “Hold on, let me check.” It was as if he was checking if I reached my credit card limit or if I had a parking ticket. These were seconds almost equal to years. The officer said he was alive. The next day I left Corlu to attend his court hearing with my father-in-law and boys. The moment when I saw Orhan handcuffed with two officers accompanying him was so overwhelming that my knees failed to keep my body straight. My weeping eyes followed Orhan as he was escorted to the courtroom. It was a scene I saw only in movies. Never would I thought I could wait in a courtroom to see a judge deciding on my husband’s fate. I was shocked to see how different Orhan was. Unbelievable how much weight he lost in just 17 days. He didn’t shave, and his color was pale. He could not stand straight. God knows what they did to him while in custody. It was so obvious that he was sick. He was kept in a solitary confinement for 17 days. I can’t even imagine staying in an empty room for 5 hours, let alone days and weeks without seeing anyone. Your wife or your boys. Orhan’s hands were handcuffed behind the back like some kind of a murderer. It was a huge emotional burden for the boys. It was a picture they would never forget. Orhan knew that the boys and I were going through difficult days. To alleviate our pain, Orhan smiled when he had a chance to make an eye contact with me. I quickly wiped my eyes, smiled back and waved. Even that smile was used in a smear campaign against our family. One of the headlines in a pro-government newspaper said: Real Fethullahist Terrorist Don’t Bow. They Send Smiles To Pennsylvania. I had a rare chance to exchange some words with Orhan in the corridor. He told me not to stay alone and that the police threatened him by mentioning me. He was psychologically deprived. He said he lost 14 pounds. He complained how the police keep yelling all the time and treat him badly. The bar-appointed lawyer also told me not to stay alone for security reasons. I could never talk to the lawyer again. He even did not tell me when Orhan would appear before the court. He was more worried than me. During the theatrical hearing, a prosecutor kept throwing words that I was appalled to hear about Orhan. How can one even use terrorism, organized crime in the same sentence with Orhan? Everything seemed like a joke for a moment. Or a horrible nightmare. Orhan was not even allowed to defend himself. The judge immediately decided to arrest Orhan pending trial. At the request of the prosecutor, I learned that Orhan was put into a special ward. We have only a single open visitation right in every 60 days and that for only 40 minutes. His parents, our three boys and me met with him only once. I can speak with him on the phone for 10 minutes in every 15 days. Closed visitation right is in every 15 days. Orhan’s aunt — he calls her “my second mother” — requested the prosecutor’s office for a chance to meet him. Her application was denied. She is crying every day. I met with 5 lawyers to save Orhan from the prison. The lawyers tell me they don’t want to take cases about FETO — Fethullahist Terrorist Organization — a term used to refer to the Gulen movement. They are too scared to handle these cases. One lawyer said his retainer was $15,000 only during the detention period. Another asked for $50,000. The last lawyer I met was a good man. He knew about the ordeal I was going through. He agreed to take our case for $5,000. This amount was my six-month salary when I worked at a school. I am not sure how I am going to find this money to pay for the lawyer since my license to teach was canceled. My husband is innocent. Even if he is not, why would the government revoke my license to teach? I worked at various prep schools and high schools for 15 years in Istanbul. The last school I worked for was Mavigun private high school, which was founded by academic Hikmet Ozdemir and owned by Service to Humanity Foundation (IHV). And I worked there for only 8 months. I quit the high school on June 30. I applied to Bolu Governor’s Office to restore my license. The response was negative. It is very painful to sit idle when I have to feed my boys and when I have to pay the lawyer.